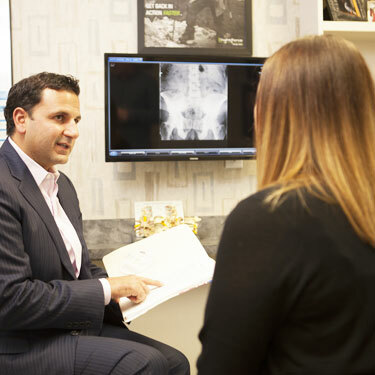 At Joseph Health Group, we take a comprehensive approach to support your health and wellness needs. And the best part is, not only do we work with people who have health challenges, but we also encourage the healthy to take their wellness and quality of life to the next level. By offering physiotherapy, we can provide patients with an array of physical approaches to promote mobility and function. Intersegmental Traction “Roller Bed” : This type of therapy is used to stretch spinal joints and increase mobility. It also increases blood flow and oxygen to discs, ligaments and muscles, thereby improving balance, strength and mobility. There is no pain involved in this noninvasive therapy. Electrical Stimulation : With this type of treatment, electric impulses are generated by a medical device and transmitted to the skin through electrodes. Electric stim can help with low back pain, bursitis, postsurgical pain, tendonitis and more. Ice Therapy : This treatment can reduce pain and inflammation, stop muscle spasms and more. Ice packs are particularly useful in addressing joint pain caused by arthritis. Typically, we would advise patients to use ice packs at least twice a day for optimal results. Pettibon Lumbar Rehabilitation with vibration plates : Those with chronic back and leg pain, stiff muscles and joints, as well as athletes all can benefit from this type of therapy. Tired of dealing with persistent pain? We look forward to helping you get out of pain and on the path to healing and a better quality of life with our physiotherapy treatments. To confirm your coverage and learn more about how physiotherapy can enhance your healing, contact Joseph Health Group today! Physiotherapy is usually covered by insurance.